I published this initially on Richard’s F1…check it out here! 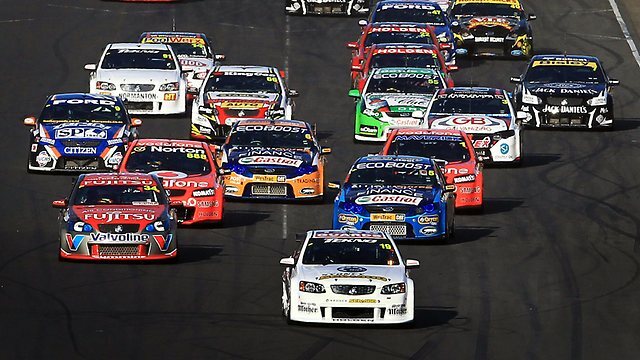 The V8 supercars Championship has confirmed it will be holding a round across the pond in the motorsport state of Texas, joining NASCAR, Indycar and from this year, Formula 1 on the Circuit of the Americas. The round will be held on May 17-19 in 2013, broadening the scope of the Series to the United States. This will be the Championship’s sixth international round, with races being held in twice in New Zealand and in China, Bahrain, Abu Dhabi previously. It will be a great opportunity for our Pacific cousins to see a sample of Australian motorsport, and this was a sentiment reflected by David Malone, V8 Supercars CEO. "It’s fantastic to be part of Circuit of The America’s events roster for the coming year and to bring V8 Supercars’ unique brand of action-packed racing to our growing U.S. fan base," Malone told V8supercars.com.au. "The Austin circuit is coming together beautifully and will offer our teams and drivers fabulous facilities from which to compete - and one of the most challenging road courses ever designed. It will definitely be an exciting time for the Austin circuit which is welcoming Formula 1 for their penultimate round in November this year. The weekend of the V8’s in 2013 will also be busy, with the NASCAR All-Star Race on the same weekend and the Indianapolis 500 the weekend after. Winterbottom likened the purpose built F1 track to the Great Mountain’s track: Bathurst. "It is probably as close to the Bathurst as any track I’ve seen, purely because of the angulation," he said. "You’ve got blind corners, you’ve got the length, you’ve got the speed, and I think this is going to build up to be a historic track for America as well. "The circuit’s topography, including the dramatic changes in elevation, will make for some really fun racing and a great show for fans." It should be a cracking round at any rate, and it will be good for the American fans to get a taste of Aussie action! A move that is said not to have anything to do with performance (as they are doing pretty well!) Orrcon Steel is reducing its support for Ford Performance Racing and Mark Winterbottom’s #5 car in the V8 Supercars Championship citing maturity of their program. "Orrcon Steel has enjoyed a successful relationship with FPR and Mark Winterbottom and that is why we are staying on with the team, albeit in a reduced capacity from next season," said the company's Managing Director Leon Andrewartha. "The team is enjoying its best ever season so our decision is in no way related to their performance." "As a company we need to focus our efforts on our core business and after 11 years in the series we feel our program has reached its maturity." Orrcon Steel has been the naming rights sponsor of the #5 car since 2007 and has supported Larkham Motorsport and WPS Racing in the past. "Am I going to race V8s next year? 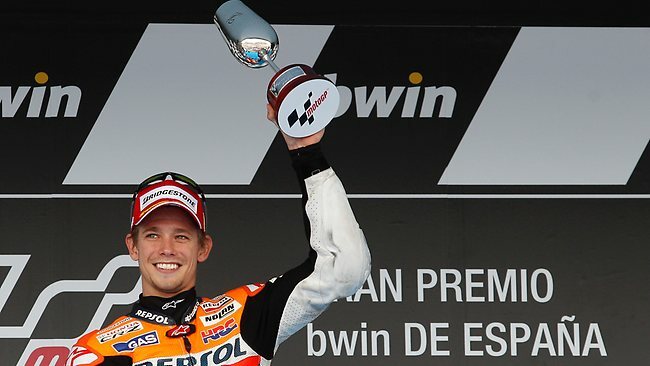 No, I'm going to stay home and watch my little girl grow up for a while," Stoner said. "I want to enjoy myself and be free. Number one, I will enjoy my family and not have to stress about the next race." He will be missed, but I am sure his daughter will appreciate his reprioritising. Good on the lad for making a difficult decision, but I am sure we haven’t seen the last of him yet.